Do you know who the most talented winemakers in the world are? This is a serious question. Our answer may surprise you. The most talented winemakers in the world are at the big-name Champagne houses. Yes, Bollinger, Tattinger, Veuve Cliquot, and the other behemoths. Why are they the most talented winemakers? Because they have to blend hundreds of wines together, harvested from potentially thousands of terroirs, from multiple vintages, from both white and red grapes, to achieve an aroma and taste profile that is dictated to them from higher up the corporate chain. 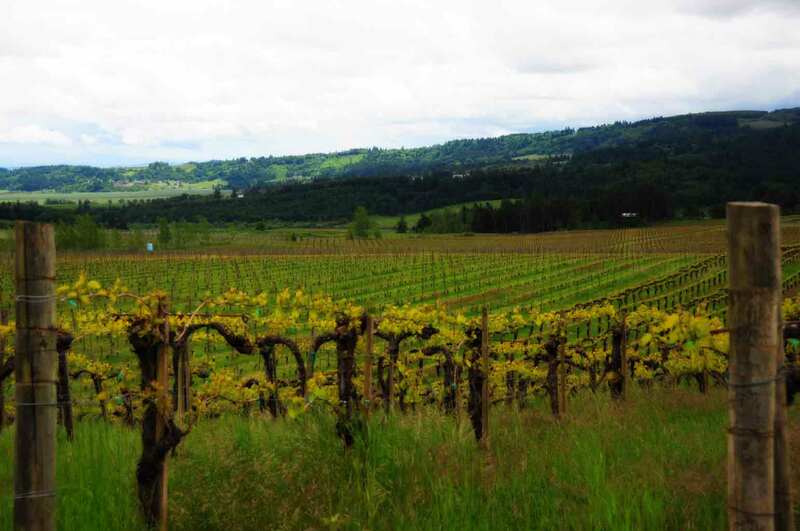 These winemakers are crazy talented, and we raise a glass to them. They also end up making a wine that, honestly, is often devoid of terroir, individuality, vintage influence, and personality. It’s a widget. A consistent product that does what it’s supposed to do: it pops and fizzes! Makes ya smile. Yeeeee haaaaaw! Let’s get crunked!! In our endless quest to bring authenticity to our wine scene in Minnesota, and to open your eyes to the potential of just how great wines can be, we are investing some serious energy in the world of Grower Champagnes. These are the little guys, the farmers, who awake in the morning, make some coffee, open their back door, and say hello to their own vines which makes their own wine. It’s what we seek out in all other wine categories, so why not Champagne? It’s time to embrace the farmer fizz for all the right reasons. Our Grower-Producer Champagne portfolio is imported by the legendary Terry Theise. The following excerpt is from Terry’s Champagne catalog profiling Pierre Gimonnet, of the Cotes des Blancs region. This region is known for the highest quality Chardonnay of the Champagne region, adding the steely and bracing elements we love so much. 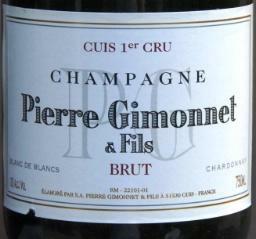 “Gimonnet’s is a polished domaine as small-growers go, with his 28 hectares, the most in the Côte des Blancs. He’s renovated his reception area, and you can now taste as the delicate ladies and gentlemen I know you to be. It is, dare I say, elegant. But then Didier wants to find some piece of information about a harvest gone by, and instead of pulling it up on his up-to-the-minute iPad (nowhere to be seen, in fact) he pulls it from a decidedly ratty pocket-sized little notebook, where all the data are scribbled by hand. This I just love. After seven years of tasting vins clairs with Gimonnet, I’m beginning to grok his thinking about these “ingredients” in his pantry. I’m also better able to understand his cognitive unease at the new alien terroirs with which he has to work, in Oger and Vertus. They don’t fit in the existing recipes. So either those recipes must change, or new recipes created. He’s like a chef who takes you back into the kitchen and not only shows you what’s in his pantry but also let’s you taste each individual ingredient that goes into his sauces. Here’s the duck-demi, here’s the veal demi (the last batch is lighter because we didn’t roast the bones as long…), here’s the cream, here’s the lemon, here’s a little morel-liquid we add as an accent, and here’s another morel-liquid from these little wild black ones that have more flavor. . . . The beauty here is in the pride and candor of the gesture: here is what we have to work with, here is how we think of combining these things. Didier is very much the gadfly as regards yields, and quite proud about his own, which are generous. He could easily flim-flam it; we all know the right things to say, but he is convinced the press has gotten it all wrong. His honesty is bracing. Some of you know I like to fly in the face of all received wisdoms simply because they’re received, and this business about yields isn’t nearly as cut and dried as many would have you believe. Often the statement is inherently misleading: “We had 35 hl/ha last year” really means next to nothing. 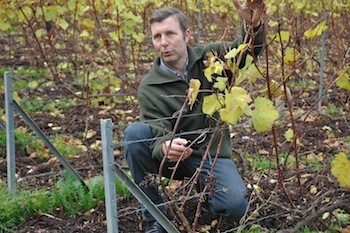 The vines may well have produced 80 hl/ha and the “excess” wine sold off. Yields must also be calibrated against vine-age and density of planting. We want it to be simple but nature isn’t like that. For me the only way to view the issue that comes anywhere close to the “truth” is to look at each vine, how it’s pruned and how its production is guided and managed. 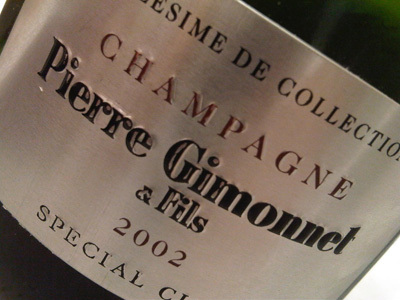 Gimonnet Special Club 2002 … yum. Nor should we ever forget the question of vine density. In a region where 8,000 vines per hectare is common, a grower who has 10,000 may have what look like “high yields” on paper, but his yield-per-vine is lower than his neighbor’s. In this as in all value-weighted questions in wine, the easy thing is to form and assert an opinion based on such scraps of information as you’ve accumulated – or on the person you think you want to be. “The cool kids think low yields are a must, and I want them to accept me.” But the true, hard work is to actually examine the question and not shrink from its intricacies, or insist on easy answers. They’ll say you’re scared to take a stand, but you have, and it’s a smarter stand than they take. Didier believes and is delighted to tell you that too low yields in Champagne make for wines of opacity, like over-reduced sauces; black holes of intensity through which no flavor can emerge. He prizes instead a kind of moderation, transparency, and elegance. And none of you have ever complained his wines are dilute, because they are not; they are just what he says they are. Yet his temperamental cousin from Vertus, the equally passionate Pierre Larmandier, believes just the opposite, works with strikingly low yields, and achieves Champagnes of power and intensity with no loss of transparency. Not better, not worse, only different — and we get to love them both. The following restaurants and retailers have purchased the wines of Gimonnet in the previous twelve months. Please call ahead to check availability. The list is alphabetical according to city.